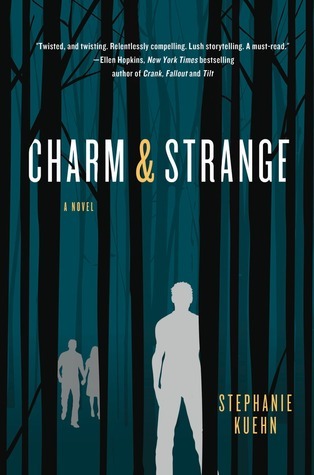 Stephanie Kuehn's Charm and Strange won the William C. Morris Award for the Best Debut YA Novel last year. I haven't heard much of this book before it won the award, but I wanted to check it out and see what I missed. Charm and Strange may appear to be a slim and quick read, but it packs an emotional punch that will you leave you emotionally bruised for quite some time. Description: No one really knows who Andrew Winston Winters is. Least of all himself. He is part Win, a lonely teenager exiled to a remote boarding school in the wake of a family tragedy. The guy who shuts the whole world out, no matter the cost, because his darkest fear is of himself. But he's also part Drew, the angry boy with violent impulses that control him. The boy who, one fateful summer, was part of something so terrible it came close to destroying him. Review: Charm and Strange is a taut, dark, and disturbing psychological tale that grabs you by the throat and doesn't let go until the shocking ending. Andrew Winston Winters is not okay. He is estranged from his family, withdrawn from his boarding-school classmates, and a little too curious about the ravaged body of a hiker just discovered in the nearby Vermont woods. The book has two story lines that slowly and shockingly converge into one. In present-tense narration, Win says he is a werewolf, condemned to change at the full moon and endanger others. Readers are left to wonder if he really did kill the hiker and whether or not to believe in Win's animal like impulses. Alternating past-tense chapters flash back to Win’s childhood as volatile Drew. Normally I would have a hard time with the narration switching back and forth in time, but the author masterfully focuses her to capture the minute details of one brief but life-changing moment: a single night during an outdoor party for Win; a visit to his grandparents during his tenth summer for Drew. The different narrations allows the reader to ponder what happened to Win/Drew that made them act this way. 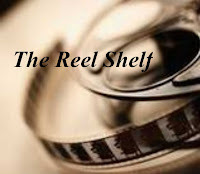 As the novel progresses, the carefully constructed boundaries between Win’s and Drew’s separate and distinct personas and memories begin to blur. My mind went to the dark place as I guessed at the terrible reality behind the unreliable narratives before Kuehn’s final reveal in hopes that I would be wrong, but the truth Andrew has been hiding from his classmates, readers, and—most importantly—himself is shattering, heartbreaking and gut wrenching. Kuehn tackles brutal issues of sexual and psychological abuse (as well as its aftermath head-on without softening the blow, but it also gives us a glimmer of hope that Andrew Winston Winters is a survivor and will be okay. Though this is a difficult read, Charm and Strange is hard to put down. Words of Caution: There is some strong language, underage drinking and drug use as well as allusion to sexual abuse. Recommended for Grades 9 and up. Oh I'm intrigued! I also love that it packs a lot in such a small volume. Oh I think you have me curious about this one! I must admit that I haven't heard much about this one either, and this is one of the few reviews I've read that has given me a sense of the depth and intensity of the story. It certainly doesn't sound like an easy read... but I get the feeling it is definitely one that I could appreciate, as well. I'll have to add it to my tbr!